The Serta® Perfect Sleeper™ Foundation has a V-shaped double steel buildup for strength and support that enhances the performance and appearance of every Serta® Perfect Sleeper™ mattress. This design helps to isolate the impact of your sleep partner’s movements. Other foundations use ordinary wood foundations that can break down over time, Sertas StabLBase® foundation is made with extremely durable tempered steel and premium furniture-grade lumber. 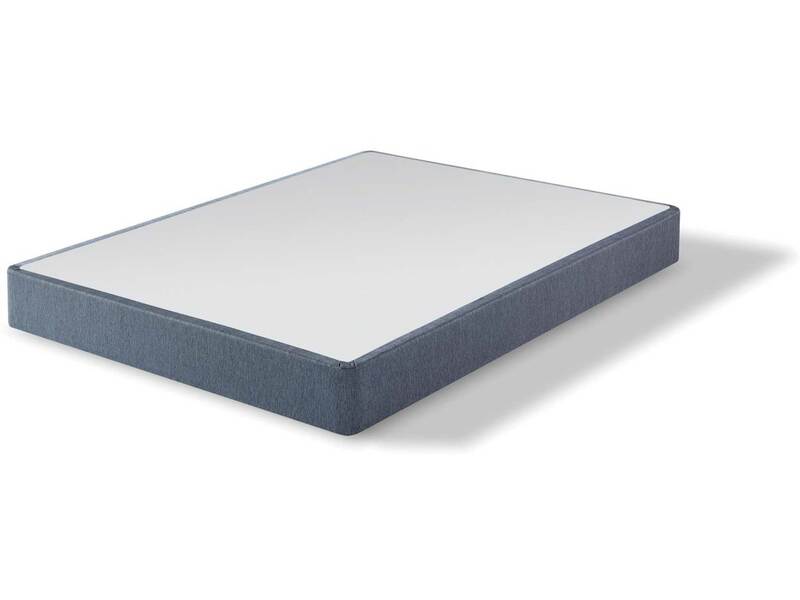 The Serta Perfect Sleeper™ Foundation measures approximately 8″-9″ high and is ideal for most mattress heights and is most commonly paired in stores. Depending on your preferences and your height, if you have an extra plush mattress and a higher bed frame, then you may consider a low profile box spring foundation instead. Mattress foundations are now a standard in proper bed support. A quality foundation helps to maintain the structural integrity of the mattress, which in turn, increases longevity. You should never put a new mattress on an old foundation. Even if you don’t see any sagging in your old foundation, it’s usually there and will affect your level of support and the lifespan of your mattress. The type of foundation you need often depends on the type of mattress used; sometimes, the manufacturer produces a foundation specifically designed to complement a mattress. 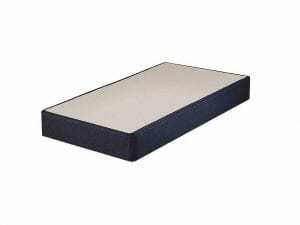 Foundations are used to support foam mattresses, helping to distribute the weight from the mattress evenly. It is important to consult your local Best Mattress sleep experts as different mattress materials need different kinds of foundations. As a rule of thumb, box springs should never be used for any latex or memory foam mattresses. Slat foundations are acceptable for memory foam mattresses, but the slats should be no more than eight inches apart. Mattresses made with micro coils or innersprings need firmer foundations instead of box springs, in order to prevent premature sagging. 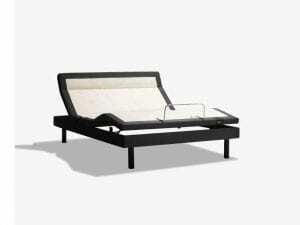 However, depending on the mattress construction, some give might be necessary for the mattress to conform to your body. Adjustable bed bases allow you to control the elevation of the head and foot of the bed to provide the most comfort for your specific needs. They work best with innerspring, foam and air mattresses. 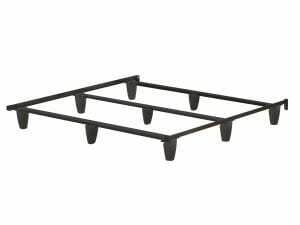 A box spring base has metal springs in it that move along with the springs in a mattress. This provides a more cushioned feel for firmer mattresses because the springs absorb the stiffness. A platform foundation can be used with most types of mattresses and provide very firm support as well as stability. They often come with built-in storage and have a clean, modern look for aesthetic appeal. However, platforms offer little to no give. The reason that mattress manufacturers have shifted from box springs to foundations is that foundations provide thicker, stronger support for your body. They absorb more of the weight and distribute it evenly, which is better for your back. Foundations tend to be cheaper than box springs, so many retailers include them with mattresses – it’s a quick fix. However, the wrong foundation can negate the benefits of a good mattress, so be informed before you invest. Foundations offer superior support for a wide variety of mattresses, including memory foam, latex, innerspring, and airbed mattresses because the solid surface helps to prevent premature sagging of the mattress. A platform bed is a piece of furniture that doesn’t require a foundation or box spring. With this type of bed, you put your mattress directly on the platform. Platform beds are typically made of wood and contain a series of wooden slats that run across the bed. Are Serta Perfect Sleeper™ Foundations A Good Investment? Best Mattress is a proud dealer of the Serta sleep products line. Serta has been a pioneer in comfort industry since they introduced their very first Perfect Sleeper® mattress to the world in 1931. Since then they have led the industry in many sleep innovations, including their breakthrough iComfort® Sleep System featuring their latest in gel memory foam technology. Today, Serta proudly wears the title of the #1 mattress manufacturer in the United States and a leading brand across the globe. They won’t be resting on their laurels though. They remain committed to helping sleepers get the most out of their night with industry-leading innovation and design. Every Serta sleep product is designed to provide exceptional comfort. Their product portfolio spans every price point and mattress construction so that everyone can find the sleep comfort they deserve. The Serta Adjustable Foundations carry on this proud history. Why Is Best Mattress Your One Stop Sleep Shop? Best Mattress is proud to serve the Las Vegas area with some of the best sleep experts in the area! We’re so confident we can help you find a mattress that will give you a better nights sleep that we offer our famous “Sleep Guarantee!” With the Best Mattress 120-day satisfaction guarantee or your money back we know that once you’ve had the chance to talk to our sleep experts and try our beds, you won’t want to shop anywhere else! You wouldn’t be alone either; Best Mattress is the number one seller of Tempur-Pedic mattresses and one of the top sellers of Serta sleep products in the Las Vegas area! At Best Mattress we understand that your time is valuable so we will deliver your new mattress within a 3-hour window on the day that you choose. Free Removal of your old Mattress set. No Contracted delivery service. All of our Delivery Experts are employees of Best Mattress.